When you need clean, we mean business. 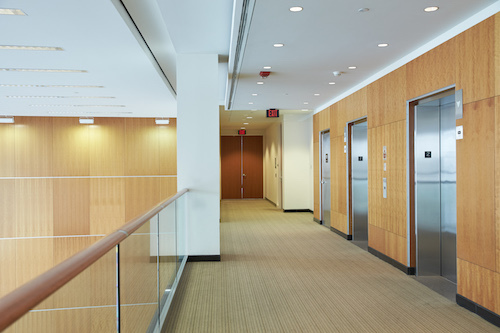 ServiceMaster Commercial Systems offers the best in janitorial care and healthcare cleaning services throughout Woodbury, Minnesota. Not only are we backed by 50 years of leading the cleaning industry standards through the ServiceMaster brand, but we’re a locally owned and operated business. This is our community, too – and we care about how clean it is. We’re hereto serve the residents of Woodbury with professional janitorial cleaning services as well as knowledgable healthcare cleaning practices. Whether it’s daytime cleaning services with a regular janitorial crew or a one-time job for a special cleaning project, we can do it. We’re a diverse group of cleaners that can take on all sorts of cleaning jobs. We offer more services than you might think! Need deep carpet cleaning or hard surface floor care? We can do that. How about cleaning the upholstery of a large stadium? Absolutely! We offer annual, semiannual, monthly, and weekly services for commercial businesses of all sizes. If you’d like a janitorial contract with us, we would be happy to oblige. Just want to hire us once for a big cleaning project? We’re happy to do that, too! We have high standards, too. ServiceMaster Commercial Systems understands that healthcare facilities must adhere to strict health code regulations to protect their staff as well as their patients. Our team of healthcare cleaning technicians are trained under the strictest cleaning protocols in line with the CDC, OSHA, AORN, HIPPA, EPA, and government & non-government organizations. We make sure our team stays informed on current sanitation and cleaning practices unique to medical offices and healthcare facilities. We know the correct protective gear to wear under special circumstances and how to properly dispose of biohazardous materials. Need a janitorial team trained on the proper procedures involving blood borne pathogens? We’re that team. Call on us or contact us online for any healthcare related cleaning services. We can help.